Libania Grenot is this week’s Track Beauty! 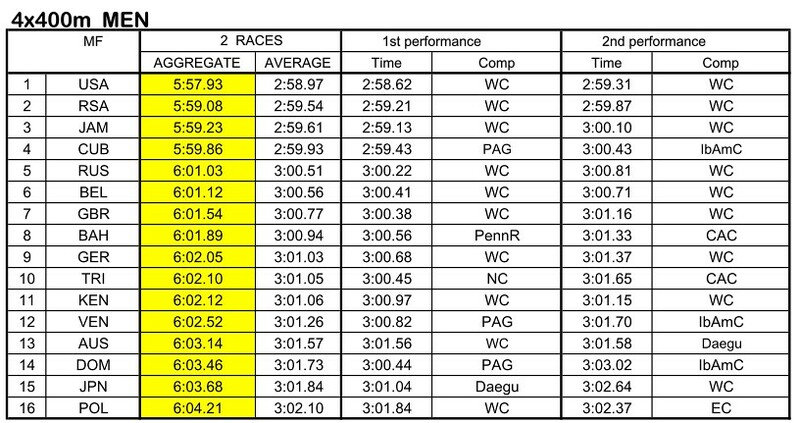 Grenot is Italy’s best quarter-miler. The Cuban-born Italian sprinter has a personal best of 50.30s, the standing Italian record in the 400m dash. The 29-year old is a grizzled veteran of the athletics scene. She made her international debut at the World Youth Championships in Bydgoszcz in 1999 for her native Cuba, where she finished fifth in the final. At the third heat of the men’s 400m dash qualifying, the starting gun fired before Kenyan Alphas Leken Kishoyian had settled on his blocks. 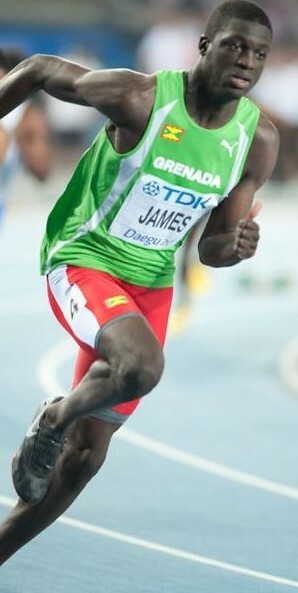 He finished dead last with a time of 48.39s, due to the starter’s lapse. A re-run was ordered, even if the Kenyan team did not file a formal protest. Kishoyian, according to an IAAF article, must better the time for the least fastest finalist (Nikita Uglov, 46.49s) to barge into the medal round. The Kenyan youngster blasted out of the blocks, running the first 200m at around 21 seconds. He was gamely cheered on by the Kenyan contingent and the rest of the spectators. Having a personal best of 45.64s, Kishoyian had the necessary firepower to accomplish the task at hand. He stopped the clock at 46.46s. With this peculiar twist, the 400m final will feature nine athletes instead of the standard eight in the sprinting events. In the many years I’ve closely followed major international track & field competitions, this is the only time I’ve seen a re-run in such a high level meet. When Perdita Felicien accidentally veered into Irina Shevchenko after clipping a hurdle at the Athens Olympics 100m hurdles final, the Russian officials roared for a re-run. Back in UAAP 65, however, one of my teammates had a similar experience. The officials (for reasons I’ve forgotten), allowed my teammate to run in his own final heat, after the original final had taken place. 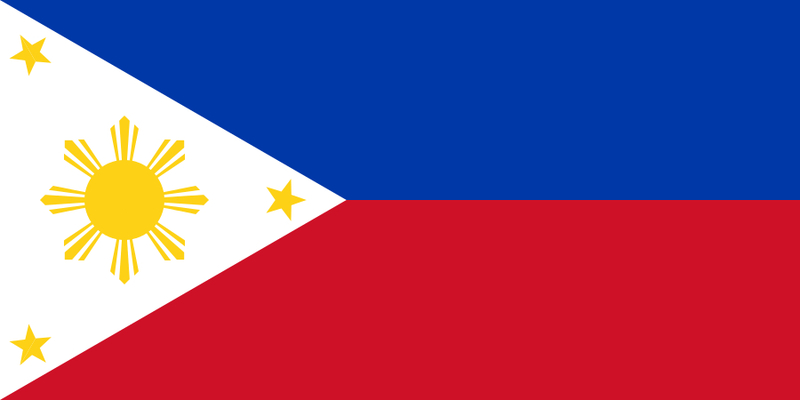 But then again, the UAAP is just a collegiate event from the athletics-obscure Philippines. The one-lap sprint is one of the most nail-biting athletics events. It tests the threshold of human speed endurance. The race is a thrilling display of tactics, proper-timing, speed and heart. The fight for the quarter-mile gold medal would we between 2009 World Champion Sanya Richards-Ross (48.70s PB) and the 2011 World Champion Amantle Montsho (49.56s PB). The versatile Allyson Felix (49.59s PB) could make the battle three-pronged, but then again, the 100m/200m combo seems the more practical route for Felix, instead of the more grueling – and rarer – 200m/400m double. I don’t expect the defending Olympic Champion Christine Ohuruogu (49.61s PB) to contend for gold, in light of the recent drop in her form. However, the hometown crowd could push Ohuruogu all the way to a podium spot, or a good showing in the finals at the very least. 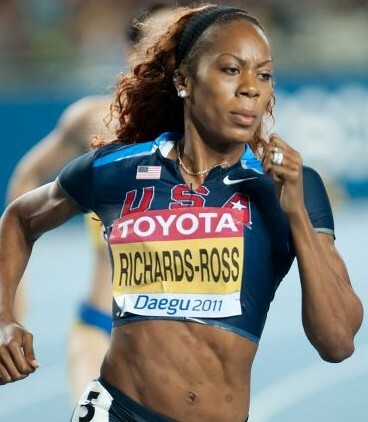 Richards-Ross had run the fastest time this season, with her 49.39s world lead at the Prefontaine Classic in Eugene. 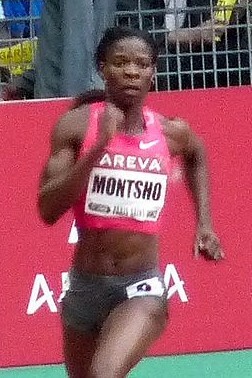 Montsho came second to the American in that same race, submitting a time three-tenths slower (49.69). Jamaican Novlene Williams-Mills (49.63s PB, 49.78s SB) is the only other sprinter to dip below 50-seconds. Francena McCorory, a 4x400m relay gold medalist from Daegu, is in tip-top shape, having set a new personal best of 50.06s at the Adidas Grand Prix in New York. The Russians, as always, will be well-represented. This season, the top Russian quarter-milers are Yulia Gushchina Ю́лия Гу́щина (50.01s PB, 50.26s SB) and Kseniya Ustalova Ксения Усталова (49.92s PB, 50.48s SB). The experienced Anastasiya Kapachinskaya Анастасия Капачинская (49.35s PB, 51.17s SB), the bronze medallist from Daegu and the 2003 200m World Champion, is several rungs lower than her compatriots. Richards-Ross has finally recovered from her an injury sustained a couple of years ago. After a disappointing campaign at the Daegu World Championships, the American sent a strong message to her rivals when she dominated Montsho in Eugene. The Botswanan (and Felix, if she decides to compete in the quarter-mile) will be hard-pressed to edge out Richards-Ross for first place. The Americans have been the dominant force in men’s quarter-mile sprinting for the longest time. In the last three editions of the Olympics, the Americans have swept the event twice (2004 and 2008). They took the top two spots at the Sydney Olympics. The Americans are just as dominant in the World Championships, taking the World title in 2003, 2005, 2007, and 2009. Jeremy Wariner (43.45s PB, 44.96s SB)has won the 2004 Olympic Gold, an Olympic silver, 2 World titles, and a World Championship silver. 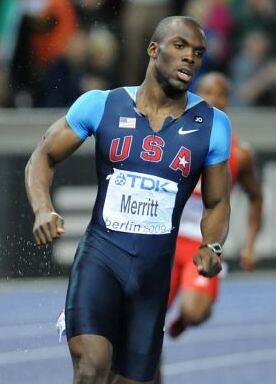 LaShawn Merritt (43.75s PB, 44.19s SB), meanwhile, has the 2008 Olympic Gold, one World title, and two World Championships silver medals to his name. Wariner’s form has dipped in the last two years, as Merritt served a suspension for failing a dope test. Several new challengers – and a new quarter-mile king – have emerged. The young Kirani James (44.36s PB, 44.72s SB) convincingly won the 2011 World Championships over Merritt, a year after claiming the World Junior title in Moncton. Another veteran from the Moncton World Juniors is the 18-year old Luguelín Santos from the Dominican Republic. The fleet-footed Santos had set a new personal best of 44.45s last May, the second-fastest time this season and the eight-quickest ever by a junior athlete. The Borlées have run competitive times, with Kevin (44.56 PB/SB) having a quicker season’s best than Jonathan (44.71s PB, 44.88s). As a testament to the depth of American 400m talent, six Americans are in the top 10 this season: Merritt, Tony McQuay (44.58s SB/PB), Michael Berry (44.75s SB/PB), Joshua Mance (44.83s SB/PB), Gil Roberts (44.84s SB/PB), and Wariner. McQuay, Berry, Mance and Roberts are all younger than twenty-three! Martyn Rooney (44.60s PB, 44.92s SB) and two-time Olympic 400m champion Angelo Taylor (44.05s PB, 44.97s SB) have also gone below 45-seconds this season. Should Wariner be able to find the spring in his legs, the London Olympic final could feature a duel between generations – with Wariner and Merritt on one side, and James and Santos on the other. The other youngster, Santos, might just be too green to crack the top three. As much as I want to see Wariner add another Olympic title to his already impressive curriculum vitae, the signs are not pointing towards the right direction (sadly, Wariner failed to barge into the top 3 at the U.S. Olympic Trials). But then again, the Olympics bring out the best in people. I have a strong feeling that James has what it takes to do a Steve Lewis. Merritt is a grizzled veteran. The American (43.75s) also has a superior personal best than the Grenadan (44.35s). My sixth sense tells me that James’ youthful exuberance could spell the difference between silver and gold. Maris Mägi is this week’s track beauty! The 23-year old Estonian sprinter has a personal best of 52.21s in the 400m dash. Mägi set the mark in Australia, en route to winning the 2011 Sydney Track Classic. She outclassed local bet Tamsyn Lewis, the 2008 World Indoor Champion in the 800m, by five-hundredths of a second. The Estonian quarter-miler churned out a gutsy final stretch. As the sprinters came out of the last bend, Mägi actually placed 3rd, with the American Monica Hargrove leading the pack. 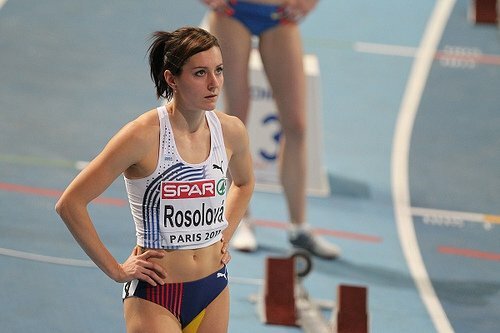 Mägi clung on to the lead against a fast-finishing Lewis, shaving off a massive 0.51s from her erstwhile personal best of 52.72s set in 2008. The Estonian has had some pretty exciting duels with Lewis in the Australian Athletics Tour. At the finals held in Perth, Mägi stopped the clock at 52.90s, beating the veteran Aussie yet again. Mägi has had modest successes in major international meets. As a junior, she once reached the semifinal of the World Junior Championships in Beijing, ending up fifth in her heat at the 400m dash. She replicated this feat at the 2010 World Indoor Championships in Doha, but failed to progress beyond the semifinals. The 100m/200m double in elite track & field competitions is a significant achievement in itself. Great athletes like Jesse Owens, Carl Lewis and Usain Bolt had won the twin sprints at the Olympics. The 200m/400m combination is a much challenging pairing. In major meets, only Marie Jose Perec and the iconic Michael Johnson stand out as successful conquerors of the aforesaid sprint distances. A couple of years ago, Johnson’s heir apparent, Jeremy Wariner, attempted the double unsuccessfully. The lactic acid-filled 400m race is a much different race than the 200m dash, than the half lap is to the century dash. 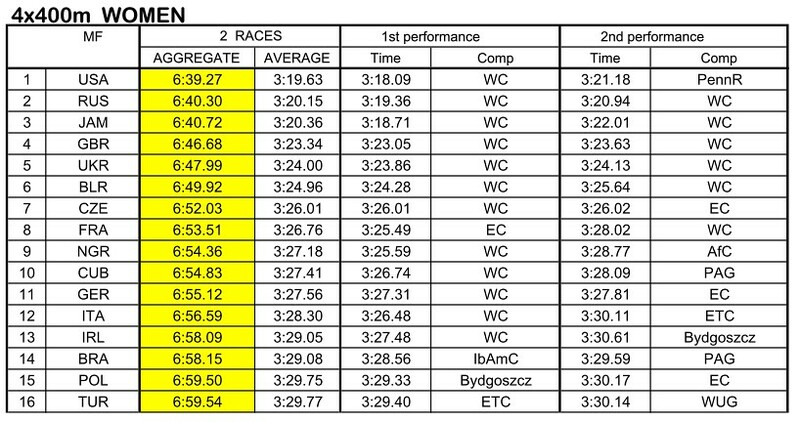 But then again, the 200m/400m double is not as fearsome as the 400m/800m pairing. 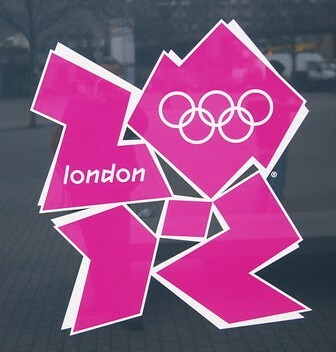 In the history of the Olympics (as well as all the other majors – the World Championships, the European Championships, etc. ), only Alberto “El Caballo” Juantorena has achieved this unusual combination of gold medals. The Australian Tamsyn Lewis had reached some measure of success in the said distances, but certainly not at the level of Juantorena’s. Before I did the hurdles, my first event was the quarter-mile. In my readings as high school junior, the great Cuban became one of my first larger-than-life athletics heroes. Juantorena, originally a 400m sprinter, revolutionized how the 800m was run. At the 1976 Montreal Olympics, he went out like a madman on the first lap of the 800m final, taking full advantage of his sprinter’s speed. The towering Cuban ran a 50.85s 400m split, his long strides clearly evident as he overpowered the field in a then world-record time of 1:43.50. He held on for a memorable gold medal, a world record at that. I can almost imagine the shock and awe of the orthodox middle distance runners at such a bold move. El Caballo followed this up with scorching hot 44.26s, the fastest 400m run at low altitude at that time. Even though Juantorena never replicated his stellar form in Montreal (he finished a distant fourth in the 400m dash in Moscow 1980), the Cuban’s 400m-800m double remains unprecedented. Even in the youth and juniors divisions, one will be hard pressed to find examples of such eminent talent. Perhaps its because of the inherent difference between the two events. Whereas, the 100m, 200m and 400m are all sprinting events, the 800m is a middle distance event. A sub-10 second sprinter, for instance, possesses the necessary leg power to power his way to a low 45-second or a sub-45 second 400m dash. Tyson Gay is the epitome of the all-around sprinter, having bests of 9.69s, 19.58s and 44.89s in the three events. The 400m and 800m are light-years apart. The former is classified as a “dash” while the latter is a “run.” The distance doubles, the time required to finish the distance more than doubles. For a quarter-miler – a sprinter who digs deep, but a sprinter nonetheless – such a change of pace can be disconcerting. Not everyone is as dauntless as El Caballo. In my readings the past half-decade, I can say that I’m astute with track & field history. But I have never encountered an elite level athlete attempting to duplicate Juantorena’s feat. What makes Juantorena special? It has to be in his long-strides and powerfully-built body. A former basketball player, Juantorena had a 9-foot (2.75m) stride. This combination of free-flowing, rhythmic strides and a sprinter’s natural affinity for speed overwhelmed his competitors, who were mostly tactical middle distance runners. Down the homestretch, the wiry middle distance specialists had no answer to the White Lightning’s long-striding, fast-finishing ways. Winning multiple Olympic track & field golds is not as easy as bagging multiple swimming golds. Unlike in swimming, the disciplines in athletics possesses inherently vast differences in terms of energy utilization and technical proficiency. Track & field may never see the likes of a Michael Phelps, but it has its fair share of multiple medalists in the likes of Emil Zatopek (5000m, 10,000m, Marathon), Carl Lewis (100m, 200m, Long Jump, 4x100m), Usain Bolt (100m, 200m, 4x100m), Michael Johnson (200m, 400m, 4x400m) and Alberto Juantorena, whose gold medal winning ways in Montreal 1976 are truly legendary, a feat that would take generations to emulate.